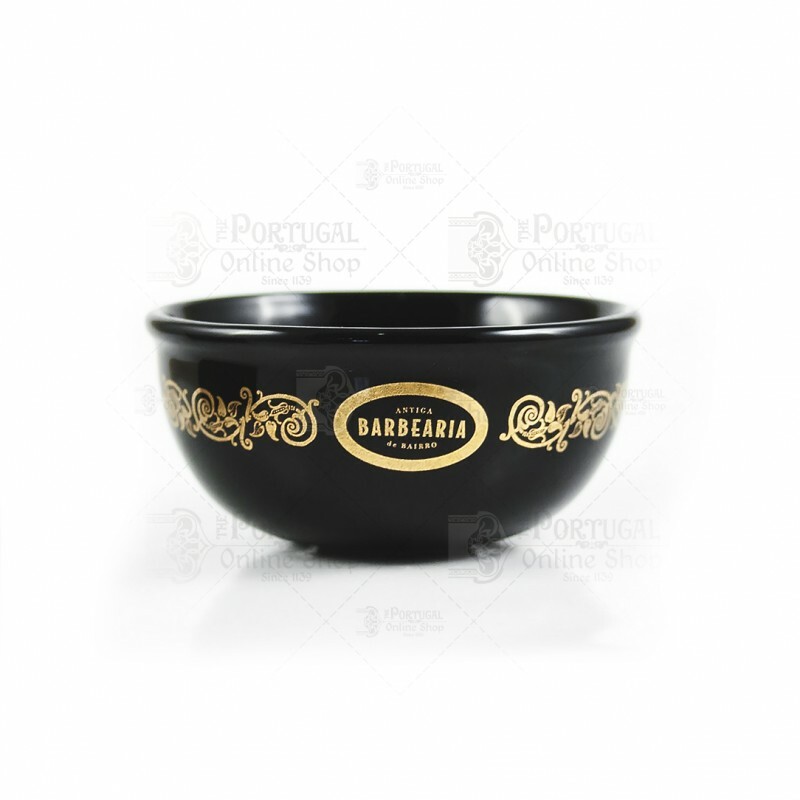 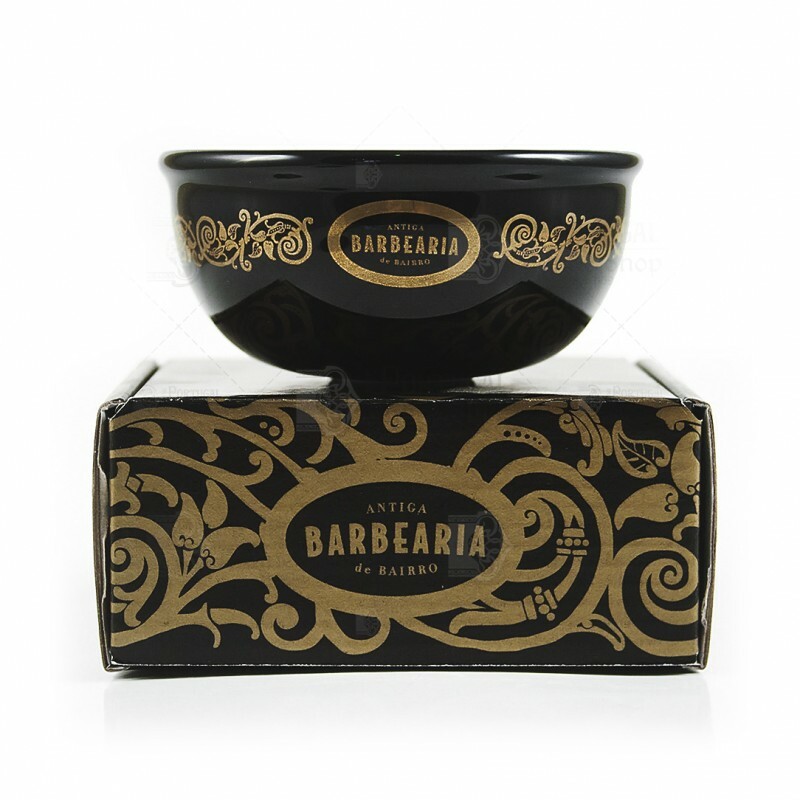 Antiga Barbearia De Bairro Black and Gold Shaving Bowl is great for whipping up your shaving soap or cream into a lather. 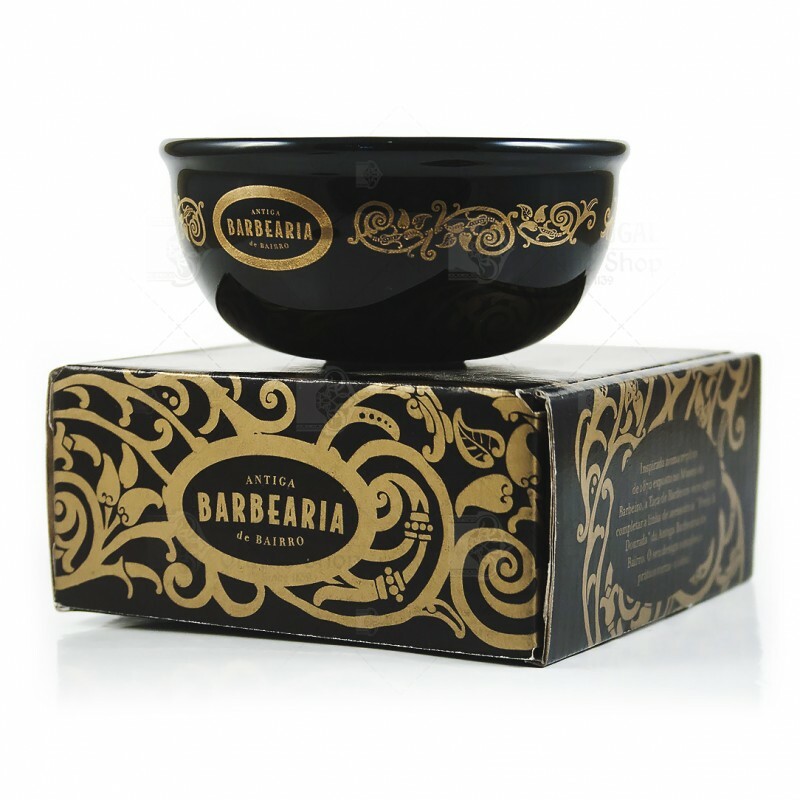 Made from stylish black porcelain, the Antiga Barbearia De Bairro is great for retaining heat in your lather, which is perfect for wet shaving as it helps keep your pores open and your stubble soft. Wet your brush, get a dab of soap or cream on it, then lather it up in the Antiga Barbearia bowl.